The Conference commenced on March 11th with the Opening Ceremony which was chaired by Mr. Conrad Smithen Sr. who invoked God’s blessings on the day’s proceedings. 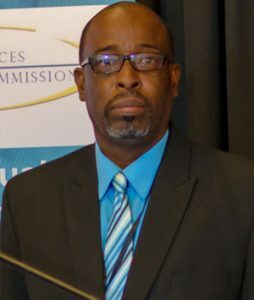 Mr. Smithen is currently employed with a regulated entity and has spent the last thirty (30) years working in the Financial Services Industry. This year’s conference was facilitated by Mr. Robert Mazur, President of KYC Solutions, Inc., a firm that provides speaking, expert witness and consulting services to companies worldwide. Mr. Mazur is certified in both U.S. and Canadian courts as an expert in money laundering. This year, the FSRC – Nevis Branch was pleased to partner with OPES Software and Nevis Co-operative Credit Union, who came on board as silver and bronze sponsors, respectively. OPES Software was represented by Mr. Fabrice Zambito, CEO and Chief Compliance Officer, who made a short presentation outlining the functionality of the software and its benefits in providing compliance related solutions for banks and financial services institutions. Monday’s presentations were capped off by our inaugural debate, which saw debaters from the legal and banking professions building clear and concise arguments on the moot “Profits versus Compliance: A Profitable Business and a Sound Compliance Program are not mutually exclusive.” The debaters were Rawlinson Isaac, Financial Consultant; Sherry-Ann Liburd-Charles, Dia Forrester, Adrian Scantlebury, Attorneys-at-Law practicing in the Federation of St. Kitts and Nevis. 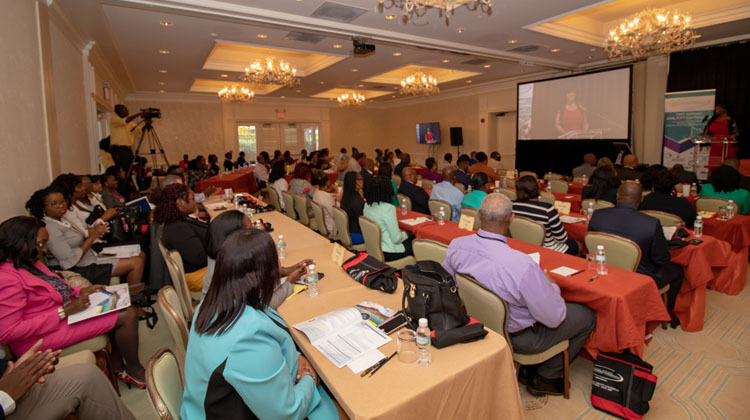 The FSRC – Nevis Branch expresses its thanks to all including our sponsors OPES Software and the Nevis Co-operative Credit Union for their generous contributions as well as our esteemed presenters who journeyed from afar to join us thus ensuring the success of this year’s Conference. The 207 registered attendees represented financial institutions, trust and corporate service providers, credit unions, insurance companies, insurance managers, attorneys, money services businesses, lending agencies, accounting firms, law enforcement agencies and government departments. 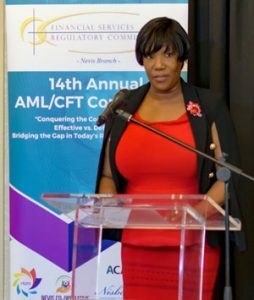 This is indicative of the high level of training that the FSRC – Nevis Branch is providing to the financial services industry. 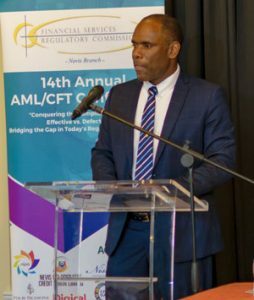 It is the intent of the FSRC- Nevis Branch to continue to fulfil its mandate by providing relevant information to regulated entities that would assist our jurisdiction in remaining compliant with international standards. We look forward to next year’s event.